Almost every car dealership charges you those "title and tag" fees. You pay this fee assuming that the dealer will fill out the paperwork correctly. But mistakes happen and one dealer registered a car to the wrong person now an old lady who doesn't drive ended up with 18 parking tickets. 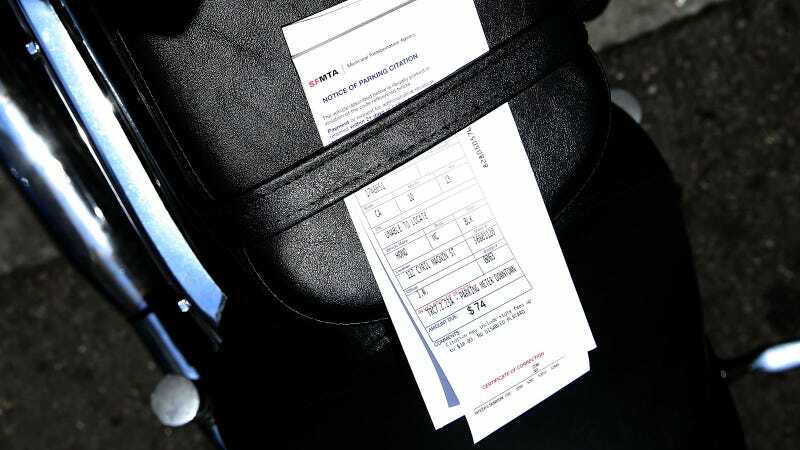 Joyce Silva is 87 years old, she has arthritis and doesn't drive, but she ended up with $1475 worth of parking tickets on a white Acura she doesn't own. According to CBS Sacramento the mix-up came about because the new owner of the Acura had the same name as someone already in the computer system. CBS13 has learned the dealership that sold the Acura, confused two Joyce Silva's. Acura of Pleasanton says it sold the car to Joyce F. Silva of Pleasanton, but registered it by mistake to Joyce S. Silva of Manteca who was in their database because she once bought a car from a neighboring Lexus dealership which shares a database. The dealership says it fixed the problem in May, but Joyce was still on the hook for 18 tickets. The local CBS affiliate contacted the MTA who corrected the situation.